I have connected my GPU to my DLP and I cannot get audio on my television’s speakers. How do I fix that? 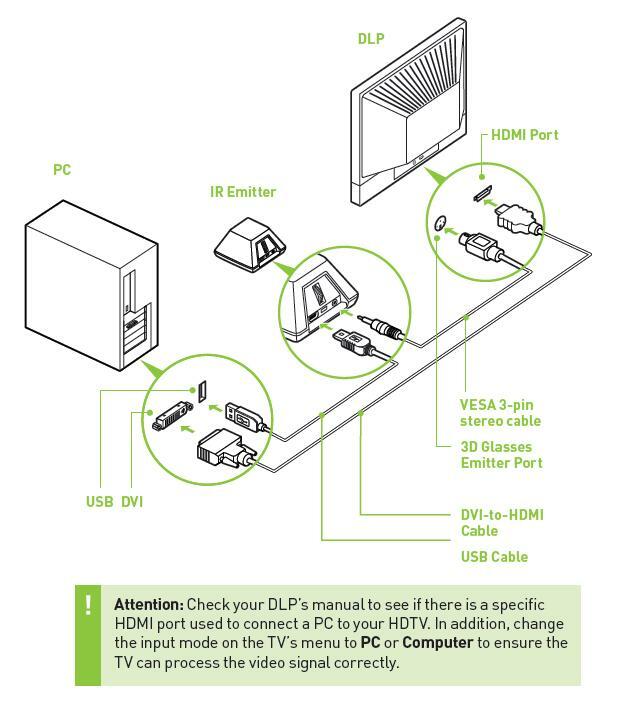 Can I use the NVIDIA 3D Vision on my HDTV without using a computer? After I update the Mitsubishi DLP HDTV firmware to the latest version for use with NVIDIA 3D Vision I still get the same message telling me to update.